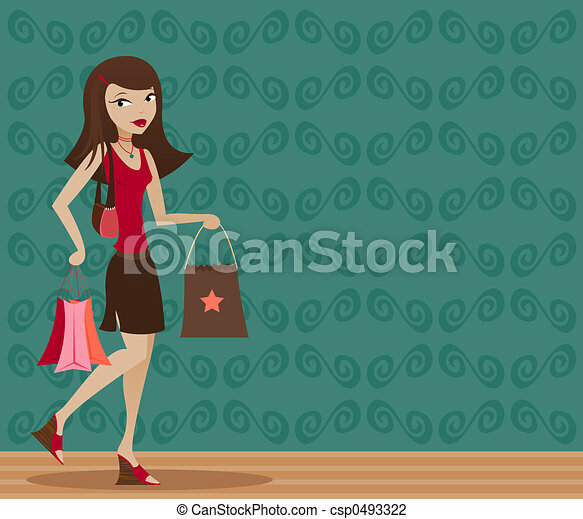 Brunette shopper. 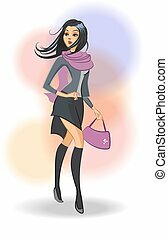 Stylish brunette with shopping bags in hand. 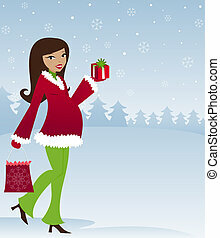 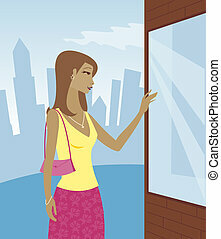 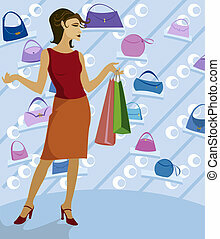 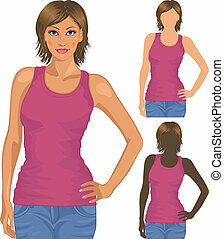 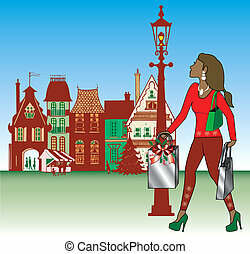 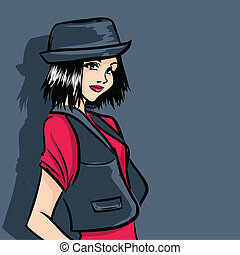 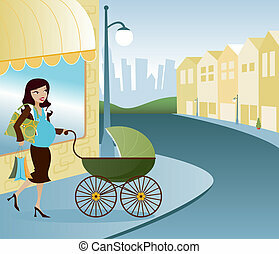 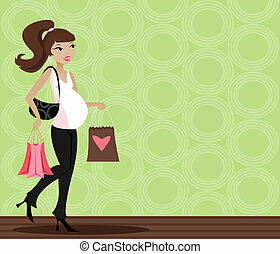 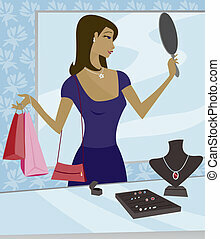 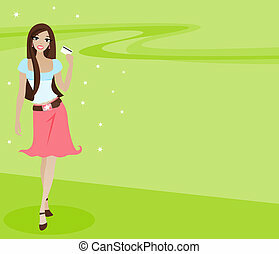 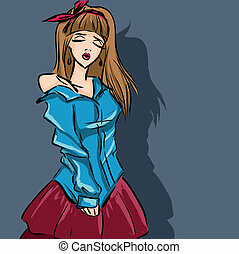 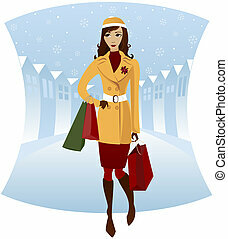 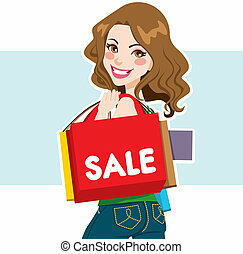 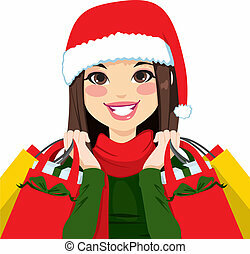 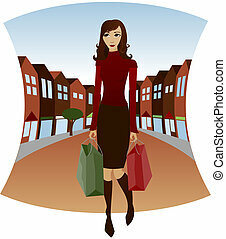 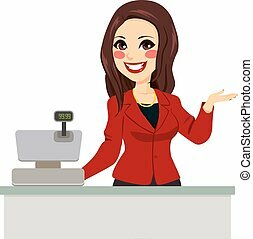 Vector Illustration of brunette woman Christmas shopping with bags dressed fashionably. 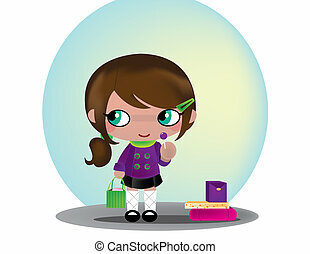 A young girls licks her sucker after shopping. 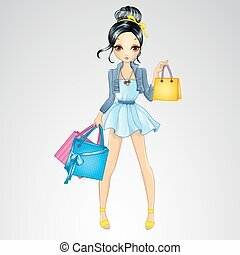 Beautiful brunette girl in green and purple floral dress with handbag. 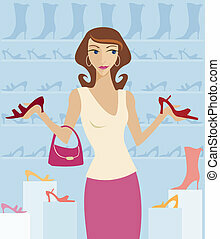 Woman shopping in a boutique, surrounded by cute shoes!